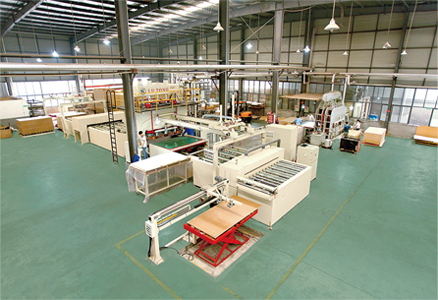 Wuxi Lutong Machinery Co.,Ltd., founded in 1988,has 53000 square meters of production facilities.We produce several types of machines for the lamination industry,and are the leading industry pioneers and standards setters in this field in China.Over the years our company has been named by the Chinese Government as one of the Jiangsu Province's "famous enterprises".Our company strictly implements the IS09001-2000 international standard quality management system,and has,for many years,been identified by the Jiangsu Provincial Bureau of Technical Supervision of Quality as having a AAA Credit Rating.Over the past 20 years,Lutong has always adhered to the business philosophy of continuous innovation and integrity of management. 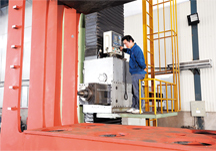 PATENTSLutong owns eight latest patents,long service lift of the equipment，high quality of the finished board. LEAVE YOUR MESSAGES Hello! Can I help you choose a product?